Catemaco, Mexico hosts the annual International Congress of Witches, where thousands bus in from all over Mexico to enlist local sorcerers to cast a spell or read a fortune. In 1612, ten individuals were tried and found guilty of witchcraft in Lancashire, England. The group, known as the Pendle Witches, were mainly guilty of creating home remedies from local plants, or living outside the norms of the Protestant church. 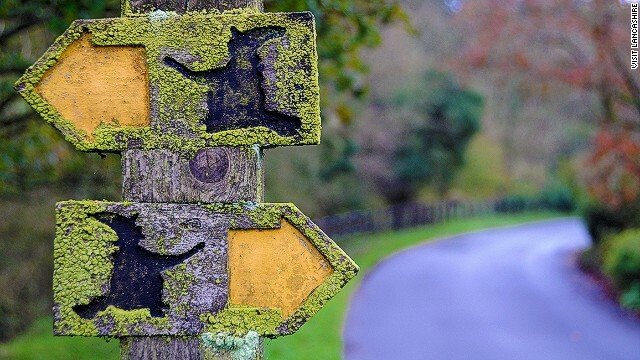 Today, visitors can glean some local history on the Pendle Witch walking trail. In 2008, archeologists from the Hebrew University of Jerusalem discovered a 12,000 year old grave of a witch, or female shaman, in northern Israel. She was buried with fifty tortoises, a human foot, a leopard pelvis, the wing tip of an eagle, a cow's tail, and other possible talismans. The Blocksberg (or Brocken) mountain has long been thought of as a gathering place for witches, especially on Walpurgis Night (April 30). Locals used to try to ward them off by hanging crucifixes and herbs on their door. 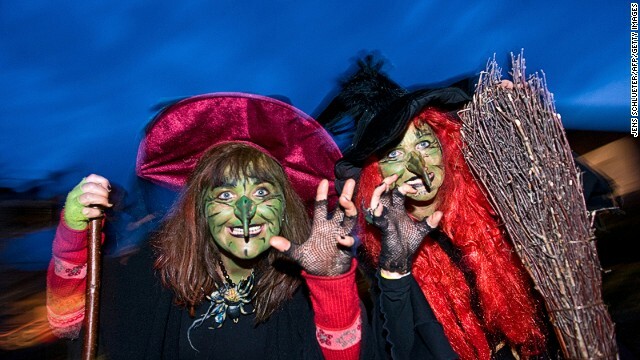 Today, The Brocken fills up with revelers in witch costumes every Walpurgis. 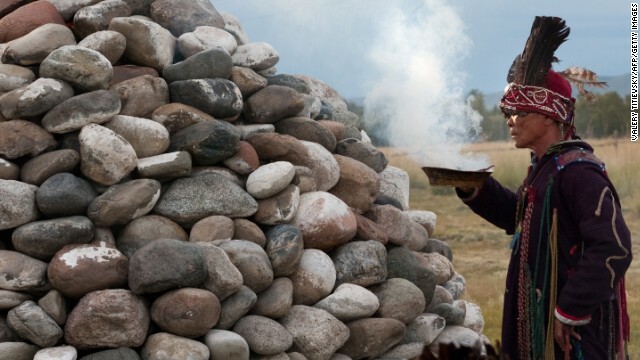 Shamanism has a strong tradition in Tuva, a republic in Eastern Siberia. Though many shaman were executed when Tuva was enfolded into the Soviet Union, the tradition is once again finding its legs. Visitors eager for a purification or reading can visit the Shaman Center, in the capital of Kyzyl. As in many parts of Asia, a belief in the supernatural is widespread in Malaysia, but the practice has a different twist in the Muslim-majority country, where meddling with the occult is banned under Islam. 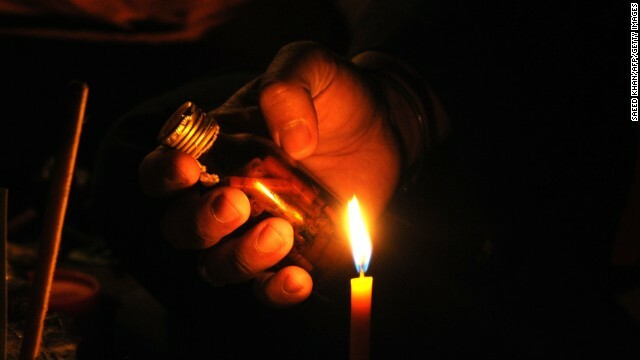 Malay Bomohs (or witch doctors) inject Koran reading into their practice to exorcise jinns, or spirits. 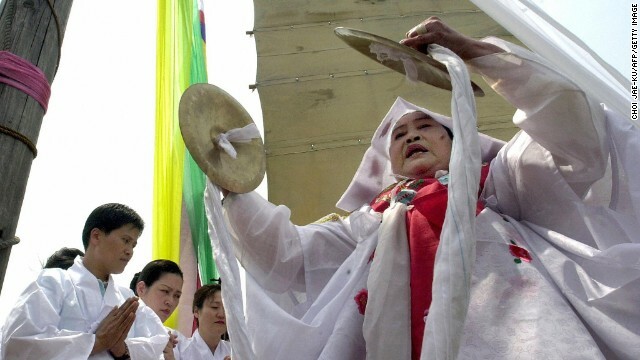 Shamans are a traditional sight around the Han River in South Korea, where the rite is believed to be passed through the blood line. Every year, a shaman will perform a blessing ceremony on the embankment to bestow good luck on an old cargo ship. 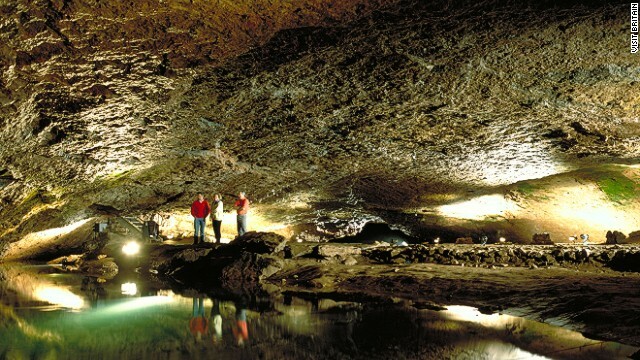 The TV show 'Most Haunted' visited the Wookey Caves in Somerset in 2009. The legend of the Wookey witch is based partly on a witch-shaped stalagmite, and partly on a 1,000-year-old female skeleton found in the cave. The Witch Market makes for a large tourist draw in La Paz, Bolivia, where local witches carry medicinal herbs and spell-making ingredients. Dried llama fetuses and toads are some of the items available for sale. 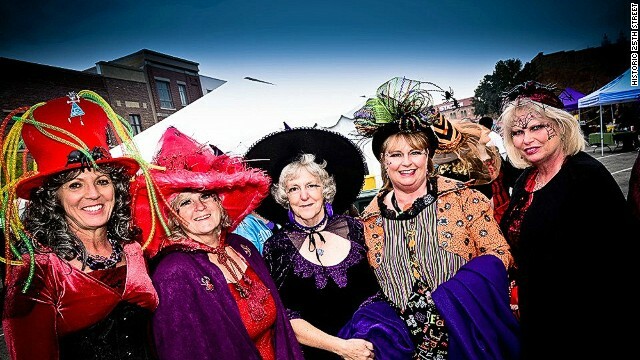 Thousands of witch-trussed revelers descend on Historic 25th Street -- a street supposedly 'too wild' for Al Capone -- to engage in Witchstock, a witch-themed celebration in the month of October. 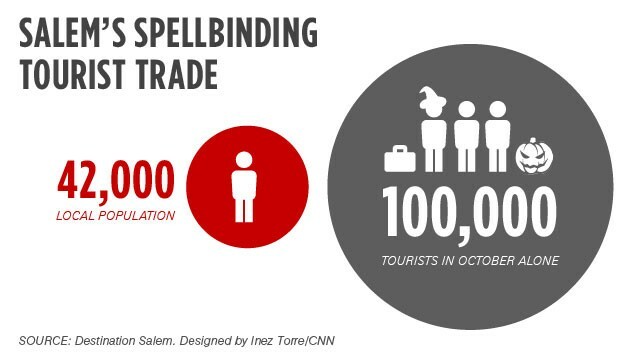 Salem attracts over 100,000 witch-hunting tourists around Halloween. Thousands of witch-dressed revelers gather in the German mountains on Walpurgisnacht. 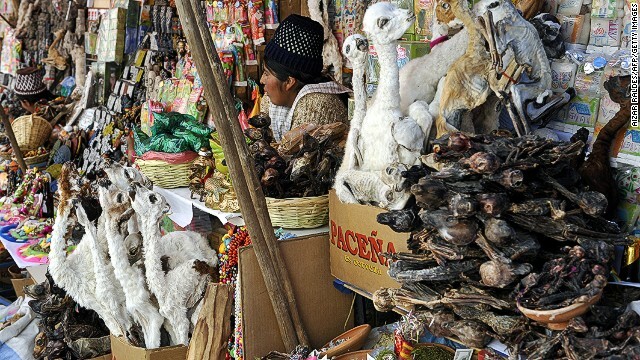 In Le Paz, Bolivia, tourists can purchase spell ingredients at the local witch market. Catemaco, Mexico hosts the annual International Congress of Witches. (CNN) -- Of the many ghouls that we associate with Halloween, few reign as supremely in our imaginings as witches. Though these days, our fascination with witchcraft takes on a more benign form (nothing a Netflix all-night Buffy-fest can't cure), there once was a time when the mere mention of sorcery led entire towns to burn, drown, crush and flay those individuals believed in possession of magical powers. Though it may seem witches have since been relegated to the history books and costume shops, there are still many places in the world that treat magic as serious business, no matter the time of year. Want a truly spellbinding experience? Check out our guide to the world's witchiest hotspots. Trust us, their worth a pilgrimage. The Salem witch trials that ended in 1693 have become firmly embedded in the public imagination. Most notably, the trials were the basis for Arthur Miller's McCarthyism parable, "The Crucible", though since they've made the backdrop of fantasy staples, from "Dr. Who" to "The Vampire Diaries." The trials, which led to the execution of 20 "witches," started after two girls were afflicted with a strange illness that 17th-century doctors could not diagnose. Over 150 individuals were ultimately accused, with several dying while languishing in jail cells. Today, Salem's witchlore has resulted in a booming tourist trade. Over 100,000 visitors pour into town during the month-long Haunted Happenings festival, which takes place every October. "About 85% of visitors we asked say they're interested in the witch trials, and 80% say they're interested in modern witches," explains Kate Fox, the executive director of Destination Salem. The town also boasts a strong Wiccan community, with many setting up spell shops and psychic stalls where visitors can get their palms read. While witch costumes are encouraged, green face paint is not smiled upon. "The witch community is not a fan of green-faced witches. It's a stereotype they're trying to get away from," Fox explains. Before the Salem trials, there were the Pendle witches. The 1612 trials, in which ten people were found guilty and hanged, were among the most notorious in English history. Religious fervor played a strong role, as the Protestant King James I was eager to rout out both witches and Catholics -- often associated as one and the same. The impoverished didn't fare much better. The witch community is not a fan of green-faced witches. "The poor often sold natural remedies from local plants and herbs, which local authorities often viewed as 'spells', and hence demonic," explains Michael Williams, tourism team leader for Pendle Borough Council and Marketing Lancashire. Last year marked the 400th anniversary of the trials, which the town commemorated by instituting the Pendle Sculpture Trail -- a signposted walk that has ten plaques -- one for each victim -- posted on trees throughout the woodland area. The trails are dotted with landmarks from the trials, and culminate at Lancaster Castle, the former prison where he accused were tried. Fans of Faust might recognize the Brocken as the traditional meeting place of witches, who apparently gather yearly April 30 for Walpurgisnacht. The Brocken is the highest peak of the Harz mountain range in North Germany, and was once believe to be the destination for many a goat-riding witch or warlock (brooms came into the equation later). Though locals once hung crosses and herbs on their doors to ward off the supposedly evil-doers, these days celebrants emulate the witches. Thousands channel their inner Hermione and gather on the mountain top clad in black hats and makeup. In a mountain clearing known as Cerro Cumbre sits the type of market that doesn't carry your usual tourist fodder (unless you're in the market for a dried llama fetus). The Witches Market, or Mercado de las Brujas is made up of shops that carry everything from medicinal herbs, to heftier spell-making ingredients. For many of the brujas, or witches, magic is a family business, and several store owners sell concoctions that have been passed down through the generations. Though the market used to be the exclusive purview of Bolivians, these days, tourists make up the bulk of its economy. 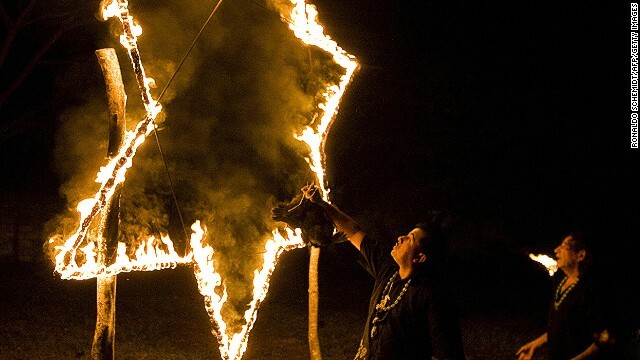 Every year, on the first Friday of March, the town of Catemaco hosts the International Congress of Witches. Thousands of believers bus in from all over Mexico to enlist local sorcerers to cast a spell or read a fortune (for a fee). Though witchcraft has a centuries-old history in Mexico -- a mix of pre-Hispanic and Catholic rituals -- the Congress only dates back to the '70s. In recent years, the event has become a tourist attraction, and these days local music acts are as much a part of it as the palm readings and curse removals.